Developed by John Bollinger, Bollinger Bands® are volatility bands placed above and below a moving average. Volatility is based on the standard deviation, which changes as volatility increases and decreases. The bands automatically widen when volatility increases and narrow when volatility decreases. This dynamic nature of Bollinger Bands also means they can be used on different securities with the standard settings. 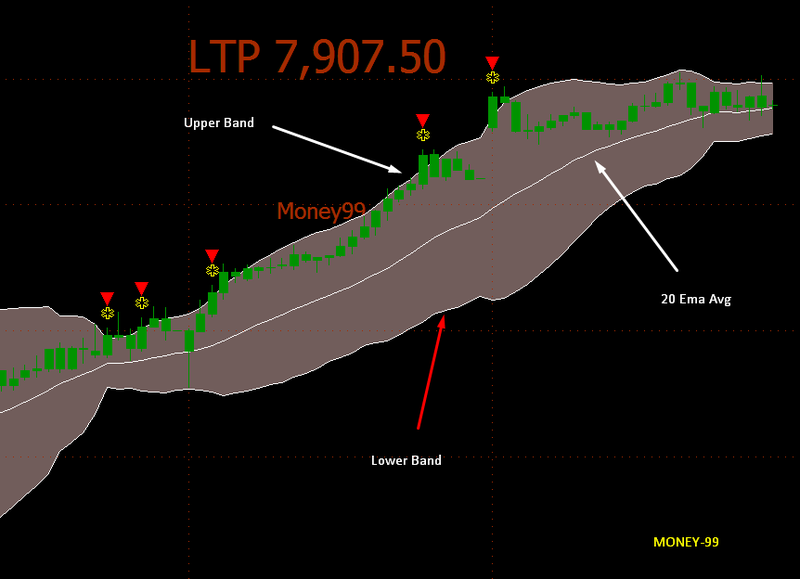 For signals, Bollinger Bands can be used to identify M-Tops and W-Bottoms or to determine the strength of the trend.